Line rimmed baking sheet with parchment. Stir honey and oil in small saucepan over low heat for just a minute or two until smooth. 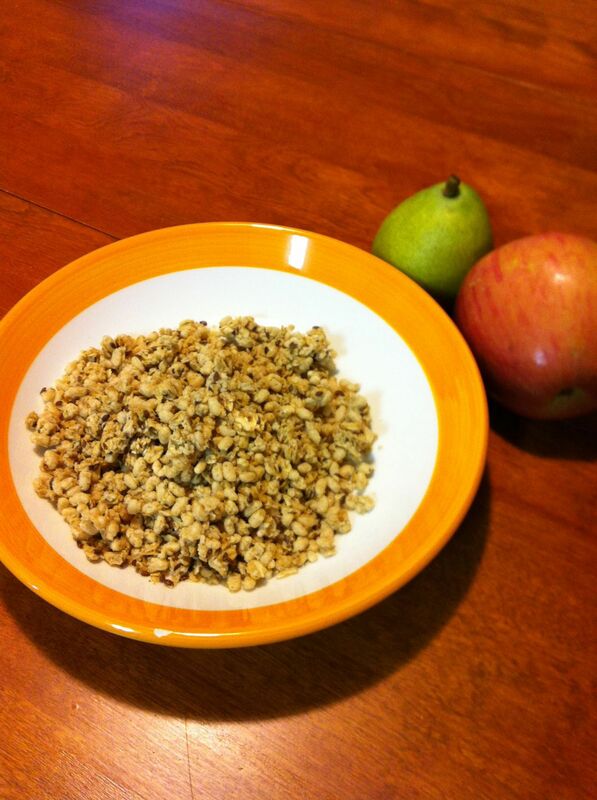 Use a rubber scraper to pour the honey mixture over the oat mixture; toss. Bake until golden, stirring about half way though. Watch carefully to see how quickly it bakes in your oven. The granola will be done in 20-25 minutes or maybe longer depending on the baking sheet and your oven. Place sheet on rack. Stir granola. Cool completely.